PBT Child Welfare Fund is dedicated to working with children, families and communities to overcome poverty and injustice. 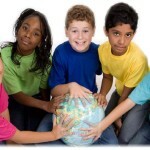 PBT Child Welfare Fund was founded to serve all people, regardless of religion, race, ethnicity, or gender. We intend to work through transformational development that is community-based and sustainable, focused especially on the needs of children. Partnerships with other organisations to contribute to spiritual and social transformation in order to achieve the scope of our philosophy. Public Awareness that leads to informed understanding, giving and involvement. We stand in solidarity in a common search for justice. We seek to understand the situation of the poor and work alongside with them towards fullness of life. We share our discovery of eternal hope in creating a more solid and fruitful future for children to live and grow in. We seek to facilitate an engagement between the poor and the affluent that opens both to transformation. We respect the poor as active participants, not passive recipients, in this relationship. They are people from whom others may learn and receive, as well as give. The are in need for transformation that is common to all. Together we share a quest for justice, peace, reconciliation and healing in a broken and unjust world.